Vice President Mike Pence speaks during an event to swear in Carlos Trujillo as the U.S. Ambassador to the Organization of American States on the White House complex, May 2, 2018. Democrats objected to Grenell assuming the role of U.S. envoy to Berlin — not for partisan reasons they said — but for what they called derogatory comments he posted on Twitter, since deleted, targeting several notable women including former first lady Michelle Obama. 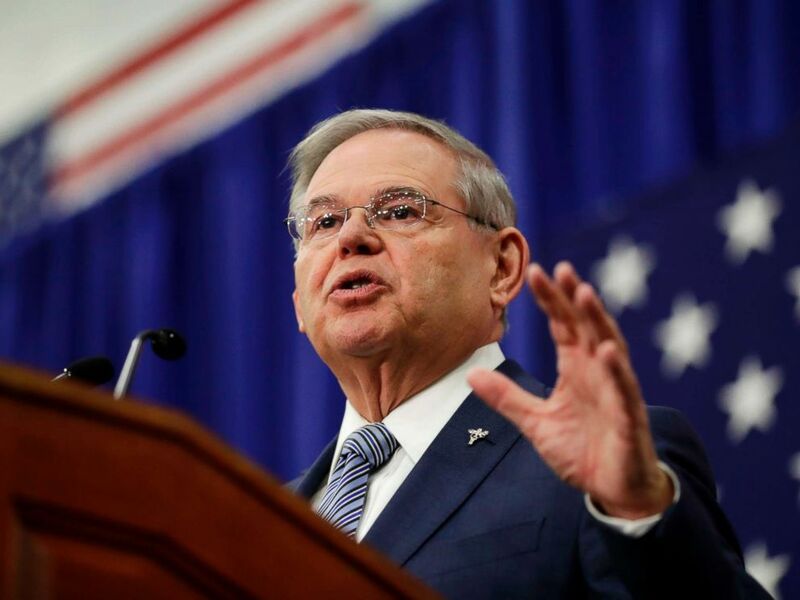 In opposing his nomination, Sen. Bob Menendez, D-N.J., recited a sampling of Grenell’s tweets on the Senate floor, which he described as "not suitable things to have to say on the floor of the Senate." "Did you notice that while Michelle Obama is working out on the BiggestLoser she is sweating on the East Room’s carpet?’ Rachel Maddow should ‘take a breath and put on a necklace.’ Also about Callista Gingrich: ‘Callista stands there like she is wife #1’," Menendez read. Sen. Bob Menendez, D-N.J., speaks during an event kicking off his campaign for re-election at Union City High School in Union City, N.J. on March 28, 2018. During his confirmation hearing before the Senate Foreign Relations Committee, on which Menendez is ranking member, Grenell addressed his inflammatory statements, telling the committee, "It's certainly never my intentions to hurt anyone's feelings." "Anybody who knows me knows that I am a very caring person and very sensitive person, and I also appreciate good humor. Unfortunately, there are times where what was intended to be humorous, turned out to be not so humorous. And again, that was never my intention and I regret that" he said. Despite criticism over his past comments that dragged out his confirmation for months, the Senate ultimately confirmed him to his new post in a 56-42 vote. The Log Cabin Republicans, a group representing LGBT conservatives and allies, celebrated Grenell's historic confirmation in a tweet. ?CONFIRMED AS AMBASSADOR TO GERMANY? The significance of his nomination was not mentioned during the ceremonial swearing-in at the Eisenhower Executive Office Building. 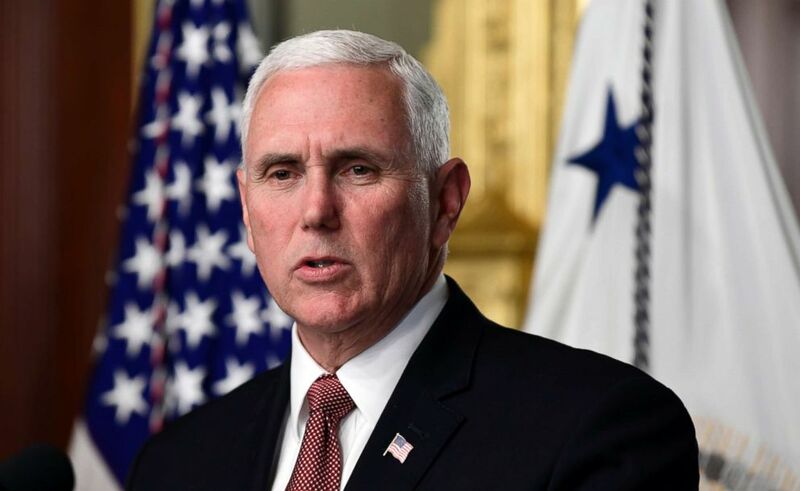 Pence recalled Grenell’s first day on the job, which was last Friday, during which he greeted German Chancellor Angela Merkel at the White House, alongside President Donald Trump and his second-in-command. "On that day, President Trump called you an outstanding man who will do a great job as our ambassador to Germany and everyone gathered here, and people across this country, share that confidence and conviction," Pence said. The new U.S. diplomat representing American interests in Germany renewed his commitment to the administration and his confidence in Trump and the vice president, despite Pence's perceived lack of support of LGBT rights and the widespread notion that he once supported so-called gay conversion therapy, now widely discredited. In a 2000 statement on his congressional campaign website, Pence said, "Resources should be directed toward those institutions which provide assistance to those seeking to change their sexual behavior." During the 2016 election campaign, Pence's spokesman said he does not support the concept. At the ceremony, Grenell said, "Thank you Mr. Vice President, and thank you President Trump, for the faith that you both have put in me. I will not let you down." "If every American could see President Trump negotiate, they would be wildly supportive of having him as their representative in the White House," he added. "I promise as part of this administration, to keep my focus on the American people and to make sure that I represent you well."